This RHS engine mount is designed as a direct replacement for the standard Ford part on Fiesta Mk7 and Mk7.5. It reduces engine movement in all directions but in "fast road" compound still isolates a significant amount of noise and vibration. We recommend this mount is used in conjunction with FOR630M (LHS) and FOR145M (Torq link). FOR630MX is suitable for competition, where loads are higher and comfort is low priority! The Pumaspeed Workshop team are ready to fit the Ford Fiesta ST180 Vibra Technics Performance Uprated RH Engine Mount in our Head Office located here. We estimate the labour time to be approximately 1.00 hour(s) costing £78.00 inc VAT. Therefore making parts and labour a total cost £227.89 (inc. VAT). 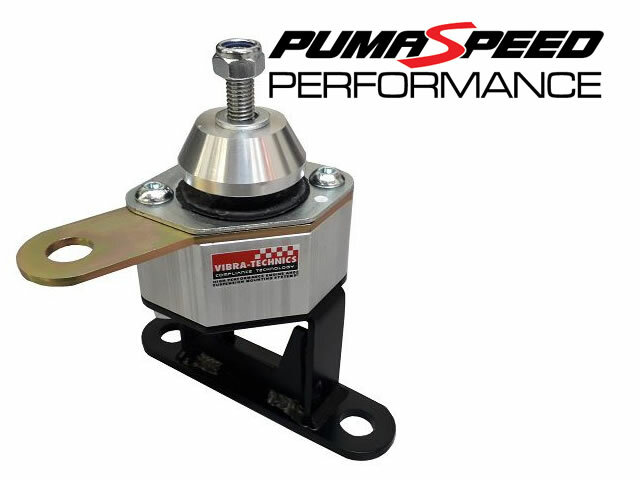 Pumaspeed have a specialist distribution team that can dispatch the Ford Fiesta ST180 Vibra Technics Performance Uprated RH Engine Mount to any destination worldwide.